WASHINGTON — A bipartisan group of senators has reintroduced legislation designed to reform commercial launch and remote sensing regulations, this time without a provision that led to the bill’s defeat last year in the House. Sen. Ted Cruz (R-Texas) announced March 28 the introduction of the Space Frontier Act. The bill is scheduled to be marked up by the Senate Commerce Committee during an executive session April 3 that will consider a number of other bills and nominations. 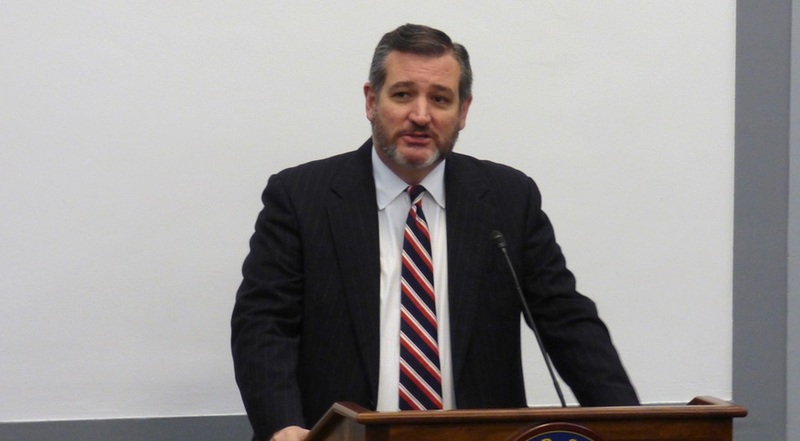 “I am proud of this bipartisan legislation as it will help to fortify America’s leadership in the domain of space,” Cruz, chairman of the Commerce Committee’s aviation and space subcommittee, said in a statement about the bill’s introduction. Its cosponsors include Sen. Roger Wicker (R-Miss. ), chairman of the full committee; Sen. Krysten Sinema (D-Ariz.), ranking member of the aviation and space subcommittee; and Sens. Ed Markey (D-Mass.) and Gary Peters (D-Mich.), who previously served as ranking members of the space subcommittee. The bill closely follows last year’s version of the Space Frontier Act, which Cruz and then-Sen. Bill Nelson (D-Fla.) shepherded through the Senate. Most of the bill covers efforts to reform commercial launch and remote sensing regulations in parallel with rulemaking activities currently underway by the Commerce and Transportation Departments. The bill also authorizes an extension of the International Space Station from 2024 to 2030 and elevates the Office of Space Commerce within the Commerce Department to the Bureau of Space Commerce. “The Space Frontier Act moves our nation forward in taking the critical step of continuing the operations and utilization of the International Space Station through 2030, securing the United States’ competitive edge against China in low Earth orbit, and enacts meaningful reforms to modernize our nation’s launch and re-entry regulations, and streamlines nongovernmental Earth observation regulations,” Cruz said in the statement. “This bill passed the Senate through unanimous consent last year, and I am glad to continue this bipartisan effort to provide certainty and a firmer launchpad for our commercial space industry,” added Markey in the same statement. Last year’s version of the bill cleared the Senate in the final days of the 115th Congress, but was defeated in the House when it failed to get the two-thirds majority needed for passage under suspension of the rules, a mechanism for expedited passage. Rep. Peter DeFazio (D-Ore.), who is now chairman of the House Transportation Committee, urged fellow Democrats to vote against the bill. Among DeFazio’s concerns was language in the bill that exempted “space-related rulemaking committees” from provisions of the Federal Advisory Committee Act, which sets requirements for public meetings by such committees. The new version of the Space Frontier Act does not include that provision from last year’s bill. There are few other changes to the new version of the bill. One change requires the Department of Transportation to issue final rules on revised commercial launch regulations by Feb. 1, 2020. Last year’s bill set a Feb. 1, 2019, requirement for releasing proposed rules, in line with language in last year’s Space Policy Directive 2. Those proposed rules, delayed by the five-week partial government shutdown, were released by the FAA March 26. The April 3 Senate Commerce Committee session will also consider a new version of the Space Weather Research and Forecasting Act, introduced March 26 by Peters and Sen. Cory Gardner (R-Colo.) The Senate passed a similar version of the bill, which codified into law elements of a space weather action plan previously released by the White House, in the previous Congress, but the House did not take up the bill. A House version of the new bill is expected to be introduced by Reps. Mo Brooks (R-Ala.) and Ed Perlmutter (D-Colo.) in the near future. Among the nominations that the committee will consider will be that of Barry Myers to be administrator of NOAA. The White House originally nominated Myers in 2017 to lead the agency, and his nomination was approved on party lines by the commerce committee in December 2017 and again in January 2018. The Senate, though, declined to take up the nomination amid concerns about conflicts of interest held by Myers, who until recently was chief executive of AccuWeather. The White House renominated Myers in January, shortly after Myers announced that he had stepped down from his positions at AccuWeather and sold his stake in the company.